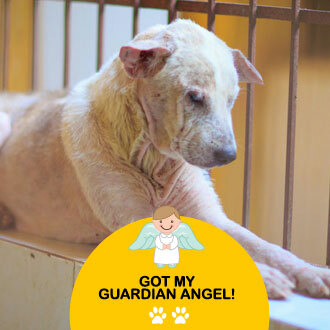 Please do be a partner in this wonderful work and sponsor a dog of your choice for just Rs.12,000/- a year. All these dogs you are about to meet, were helpless on the street before they came to IDA. They are the elderly, abandoned, have health problems, blind or are handicapped with special needs. We believe that like our human companions they too deserve and have the right to live in safety and comfort. 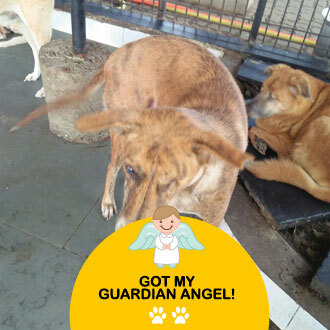 Their needs are simple, and they appreciate everything we do for them and if they are content, well fed, healthy and happy, we know we have done our job well. Hi, I'm Bella and i'm a very good-looking high energy fun loving girl. 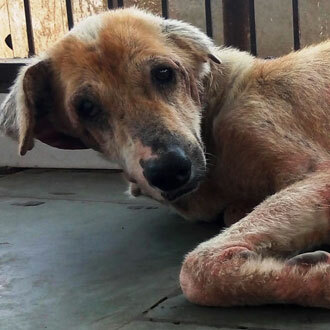 I was brought to Deonar Centre by the Night Van, almost two years ago as I had a bad maggot wound and needed to be hospitalized until it healed. I was brought all the way from Sethia Nagar - Saki Naka, and I am very grateful that some kind person called the van to take me in for treatment. I was having trouble seeing things on the road and I was a bit scared about this. It was during my stay here that the kind Doctors noticed that I had developed cataracts in both eyes. So here I am, happy and safe and well-fed and also loved. But I'll let you know a secret. I'd just love to have a Guardian Angel all to myself and I hope it will be you. You can see how I got my name. I'm tall broad and handsome, so what if I am blind. 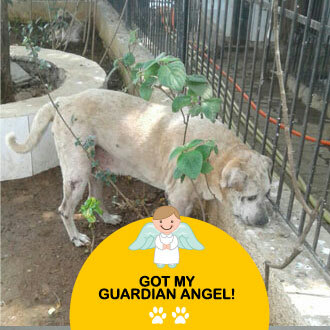 My rescuer was a dear lady called Mrs. Ahuja who lives in Tagore Nagar where I was born and grew up. She, noticed that I was bumping into things, so she made arrangements and brought me to IDA which I now love. I have good friends among the Vets, the Wardboys, the Volunteers and I am treated so well that, I've learned to like the easy life where I am pampered thoroughly. Will YOU be my Guardian Angel? All of us need just one! Hi! 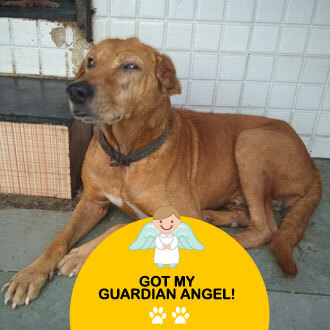 My name is Jock and I have been at the Deonar Centre from 2014. I used to stay quite close by in Chembur at Navjeevan Nagar, but for some reason, I started having trouble seeing anything on the road. 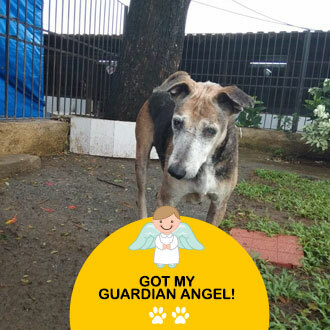 In Chembur there is a very good person called Rajesh, who has been caring for and feeding a whole lot of us dogs on the road for many years. As soon as he notices that one of us is sick or having some difficulty, he contacts the team at IDA India Deonar. It was he who understood that I was going blind and he was right. Now I can't see anything! But for us dogs that's not much of a problem. Our noses work very well indeed. As long as I can smell my friends around me and get the exciting smell of the good meal that is served twice a day, that's enough for me! But I still need a special person; a real Guardian Angel. And I think that might be you! 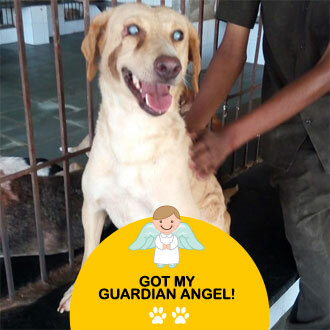 Hi everyone, my name is Molly and I was rescued and brought to Deonar Centre in 2015. 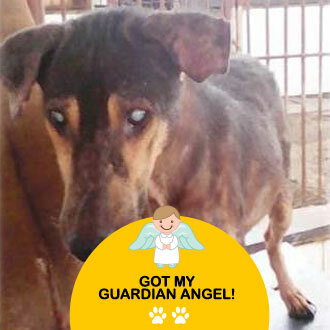 I was rescued because I am blind and was quite helpless on the road. I feel bad to tell you this, but when the IDA India ABC Van staff saw me and came to my rescue, I was standing beside a big garbage bin in Chandivali. There was nowhere else for me to stand. We blind dogs have to eat, so I used to wait there for people to throw scraps of food every day along with their other garbage. It is so different now! I have a lovely room where I sit high up on the bench and enjoy the cool breeze of the fan. I'm fed such nice meals every day and I have medical attendants looking after me as I have a skin problem. Once I am cured, you'll see, I'll look great. Now all I need is a kind person like you to become my Guardian Angel. I'm a quiet and sweet dog and my name is Moni. I came to the Deonar Centre quite long ago, in 2012. I'm really happy to be here as I used to live in the Dharavi Slum area in Sion. All the people there are very very poor and they don't have much food to share with us doggies. But I must say, some of them are very kind to all us animals as well. Somebody noticed I was blind and I was then rescued by the IDA India ABC Van. It was so nice to come to the Centre. There is no need to worry about food, water, and even the heat or rain. I'm safe here and many kind people care for me as they love all of us animals rescued and housed at the Centre, I do have a bit of a skin issue right now but I will recover with all the love and treatments the doctors give me here. I just need one more person to care for me - a Guardian Angel - and I hope it's you. I was such a lovely pup and young adult, but unfortunately, I slowly became blind over the years. I have good friends in the area where I lived and they noticed I was having a problem seeing things. 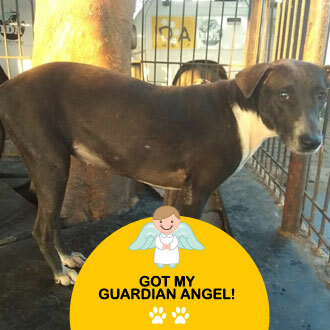 I was rescued, taken out of danger and sent to this lovely IDA India Deonar Centre. No problems here. 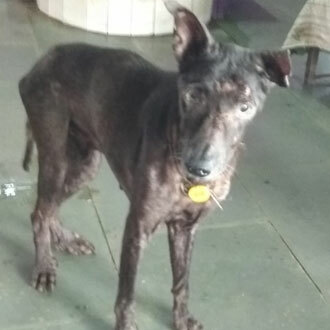 I am well-fed, living in a nice cool enclosure along with other blind dogs and there are many good people who care for all of us and see to all our needs. I only need one more good and kind person in my life now; my very own Guardian Angel, and I'm very sure it's you. Hi, I'm Jemma and I'm writing to you from my new home - the IDA India ABC Centre at Deonar. I used to stay in the suburb of Kandivali inside a school compound. It was a nice place and I liked to see the children come to school every day and run about and play at break time. Lots of kind people there and one day a special friend Sourabh, noticed that I was bumping into things. He contacted IDA and I got me a place to stay where I would be completely safe and well-looked after. I really like this place and I specially love weekends when I get to meed so many kind people called Volunteers. Now I just need one more very nice person in my life, and that is you my dear Guardian Angel. Hi, I'm Tommy from New Mill Road, Kurla West and I used to stay in a rough tough area of Mumbai. As you can all see, I've always been a tough guy and still am! Once when I was fighting with a strange dog who had entered my territory, I lost one eye in the battle. It was 2012 and I was brought to the IDA India Deonar Centre for my eye to be treated after a kind lady from my area called for help. The Doctors here noticed that I could not see from my other eye as well so I stayed here itself. My fighting days are over but I'm more than happy about that ! Good grub, good friends and a nice place to crash when I feel like it - what else does a guy like me need? Oh Yes! Forgot! I just need a Guardian Angel now and I'm sure that is you! 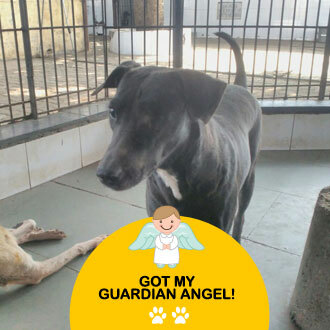 Hi, I'm Jenny and came to our Deonar Centre in 2014. I used to stay in Chembur Phule Market near the slum area. I had many friends but slowly I started losing my sight. Vijay Gorde, a poor man, was very worried about me as I was having trouble living on the road. This kind man brought me here to the Center and I've stayed here ever since. All the people here are so kind and take good care of me. Now all I need is a Guardian Angel and I'm sure it is you. Hi my Caretakers call me Mr. Biscuit, but I'm really actually a big tough guy and all my doggy friends in the Blind Ward know this only too well. 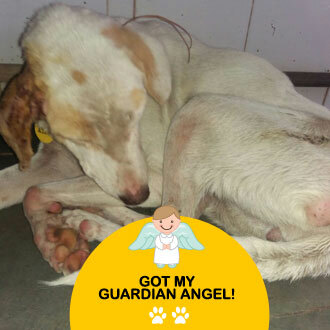 I was found by a kind girl called Devika near the Chembur Garden. 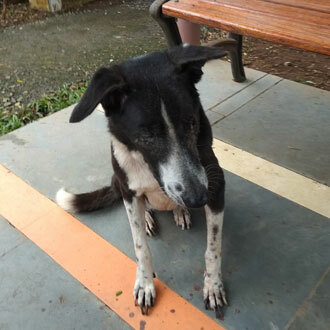 She was worried because I couldn't see very well so she got me into this lovely Centre at Deonar on 29th August 2016, where I have very comfortable quarters, a cozy couch to lie on if I like and lots of good food to eat every day. I have also been sent to the Eye Doctor and now I am on medicine which might help my sight. Wish me luck! 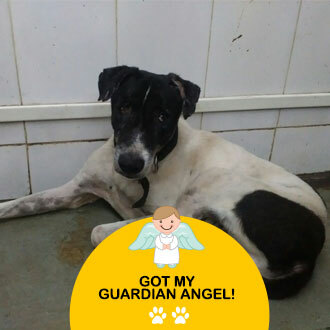 But I will be the luckiest dog in Mumbai if I have a wonderful person to be my Guardian Angel. I hope it is you. My name is Winky and you can see why! I know I look handsome and the wink helps! A poor lady in Kurla West who looks after the street dogs there, called up IDA India after my one eye got badly injured in a terrible fight. 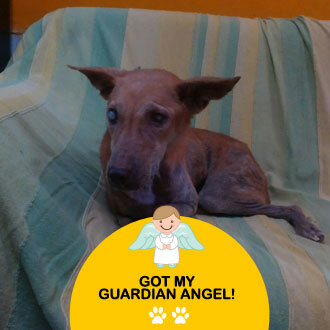 I was brought to Deonar in 2013 by the IDA India Ambulance and had to have an operation on my badly injured eye. I lost my poor eye and the other eye had a bad cataract so finally I couldn't see at all. No problem, these kind people look after me so well and I have so many good friends here as well. Now I only need one more; a dear Guardian Angel like you. Two years ago I caught a very bad eye infection, living on the street near mankhurd station, the infection was so very bad that it quickly spread and I lost sight in both my eyes, I just could not see where I was going at all. One fine day, I wandered onto the railway track and I would have been hit by a train, but I was picked up just in the nick of time as the IDA, India van had come on a call nearby and spotted me standing on the tracks. They saved my life that day, I was brought to the center and have been living here happy and safe ever since. All I need now is a guardian angel like you. I've always stayed in Vikhroli and slowly started losing my sight, I liked to walk about my locality and check everything out, however I started bumping into things. Fortunately a friend of mine laxman living in the police quarters noticed my issue and called IDA, India. 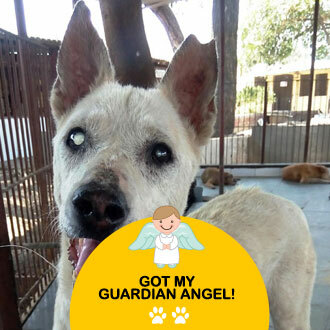 When I was brought to the Deonar Center the vets confirmed that I was completely blind. I've been staying in this comfortable place since January 2017. Thanks to my policeman friend I am now safe and sound with a lot of other blind doggie friends for company. I am just waiting for my own special guardian angel. I've lived for many years in Mankurd and done very well for myself even though I have always lived on the road. I look very good as I have a lovely orange fluffy coat and local people were always kind to me. As I became older, I suppose I became slower - we roadside doggies have to always be alert! One day, I carelessly wandered onto the railway tracks and absentmindedly stood there. I suppose a slow train came along, because the next thing I knew was everything disappeared and I couldn't see a thing. I am told this happened at the Mankurd Railway crossing. As I stood there, my eyes totally damaged, to my good luck, the IDA India Ambulance was standing at the closed level crossing, and I was quickly taken back to the Deonar Centre. From that day, my life has been comfortable and happy. Doctors treatment every day when I need it, friends around, lovely food to eat twice a day. Only one thing is left, all my other friends have Guardian Angels. Now that's what I would really like too; a loving Guardian Angel of my very own. 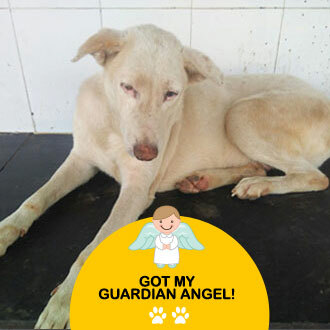 I'm actually a strong young dog and I had come in some months ago as I had been in a fight. 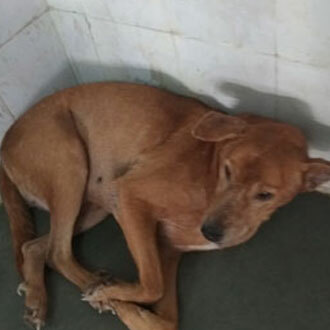 Yes, I had a big maggot wound and I stayed at the Deonar Centre for a couple of months until it healed fully. I'm from quite close by; Ambedkar Gardens in Shivaji Nagar (hence my name!). I was fully healed, operated and enjoying my life back at my locality when something really bad happened to me. I was sitting nearby a Welding Shop while work was going on. Suddenly, some sparks flew straight into my eyes! It really burnt and I was taken at once back to Deonar Centre with the help of my friend Santosh. There after treatment, the Vets discovered that I couldn't see! Since then I have been here, and my kind care-takers are trying everything in their power to help me and soon I will be going to a specialist who will examine my injured eyes and see if my sight can be restored. In the meantime, I'm enjoying life at the Centre. We are all waiting for our Activity Centre to get ready as we will all be able to explore and stroll about to our hearts content. Life is good at the Centre, but only one thing is lacking. I really need a Guardian Angel to make my life complete. May be it's you. I came to Deonar Centre about two years ago when a kind person in my locality noticed that one of my eyes was swollen and giving trouble. When I reached the Centre, my life became interesting and good. There are good Doctors to check our every ailment and as soon as I came in, I got treatment for both my eyes. Of course I can't see, but the pain I was experiencing soon disappeared. What a relief. After a few weeks at the Centre, I learned how to climb the fence of the Blind Ward and escape into the compound. Of course my kind Care-takers knew exactly what I was up to, but they didn't mind. Now I stay outside most of the time and my favourite place to relax is the Office . I have also made some very good friends, who come to the Centre, just to visit me, to walk me on a lead and to give me a bath when I need one. I've got so many friends and admirers now, I'm really satisfied with life! I noticed one thing. 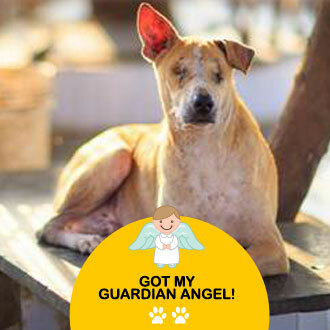 Most of the Blind dogs have a special person called their Guardian Angel. Now if only I had one too, my life here would be complete. I'm just waiting for that lovely person to chose me. 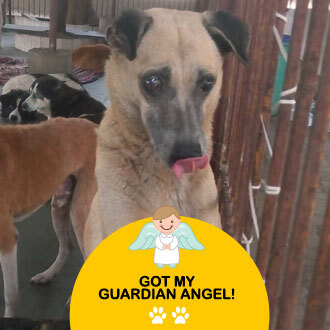 Just imagine, among all my friends and fans, I will have a Guardian Angel too! Just love the life here at Deonar Centre. My name is Alfie and I'm from a very nice area - Kalina University Campus. The BMC Van one day in July 2017, brought me to this lovely Centre for my ABC operation. But in the process, it was found out that I was going blind. My condition slowly became worse and now I can't see at all. Fortunately, I am at this Centre where us blind dogs are really cared for so well. As soon as you chose me and become my Guardian Angel, my life will be happier still. I'm from a poor area in Kurla West. It is known as Buddha Colony. My good friend from the same locality, noticed that I was having trouble walking about and then he noticed I was blind. It was he who contacted this Deonar Centre and got me admitted here so that I could stay safe and healthy. I have a very nice life here and my good friend comes often to visit me. His name is Sammy and that's how I got my nice name! 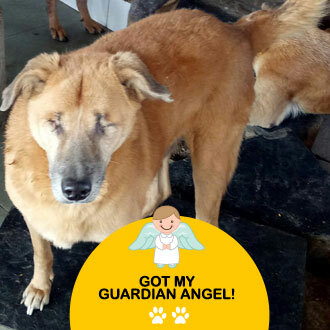 I would now really like a special Guardian Angel like all the other blind dogs have so that my life will be complete. I've been in this Centre for two months now and I must say, I just love the place. It is so peaceful and the food is so good and we get two meals a day! Actually I'm from a very noisy place: the Fish Market in Mulund East. I have a good friend there. Her name is Malti Patil and she owns a Fish Shop in the market. 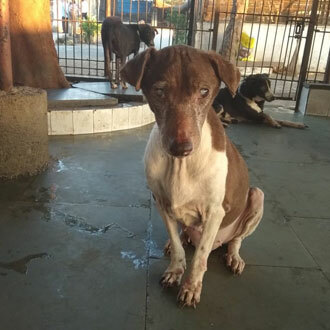 It was she who noticed that I was having trouble with my eyes so she got me admitted into the IDA India Deonar Centre and I stay in the lovely enclosure especially kept for all us bind dogs. I have friends and daily care from the Doctors and other staff and I am also waiting to enjoy the special garden made just for us. Want to make me happier still? Do become my Guardian Angel. Thanks so much. I'm a big handsome guy who still likes to play even though I grew up long long ago! I'm from the Mata Devi Temple area in Kanjurmarg near the highway. I have a lot of friends there and some of them noticed I was having trouble with my eyes. When I was brought to the Hospital in Deonar in July 2017, I had to have surgery on one eye. No problem, as I had the other eye. But then I developed cataract in the second one. Now I am at the Centre and having the time of my life. Love meeting people - humans are great! All I want now is a special Guardian Angel of my very own. I'm quite a delicate little dog who can't see and my name is Nonny. I was brought to this nice Centre in 2015 from Kokannagar in Bhandup. I came in the BMC Van and was due to have my ABC operation. Then the Doctors noticed that I had cataract and that maybe I couldn't see so well. So glad someone noticed! Now I am safe and very well fed and everyone here is kind to all us dogs. All of us go in turn to the Eye Doctor (in a private van) to have our checkups and get meds that will help us. Really like this place! 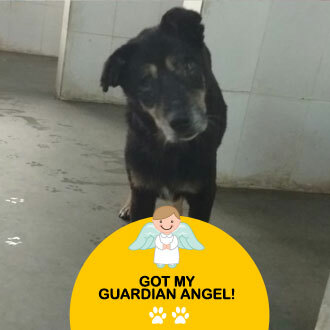 All the dogs have Guardian Angels and I'm also waiting for one. Will you be mine? Hi all. I'm one of the tough guys in the Blind Ward and my name is Buster. 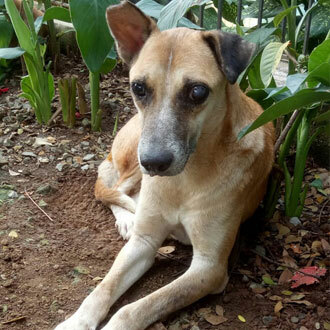 I was quite a well known alpha dog in my area in Mumbai known by all the local dogs and respected, but slowly I lost my sight and hearing! This was not much of a problem as I had a wonderful young lady taking care of me and keeping me fed and safe even though I lived on the road. But I've become a bit old now so she decided it was better for me to stay safe in a place where I would be well taken care of. I must say, I like it here. The living conditions are good and the food is great! I put on a lot of weight as I grew older as I really appreciate my food so I do sleep a lot now. But this place has a garden and I make sure to take a round every day and spend sometime relaxing in the Pergola. Now it's Summer time and the living is very easy but I still want something else. Will you be my Guardian Angel? All the other blind dogs have one. My name is Changi and I'm eight years old. I've been living in this lovely Blind Dog Enclosure for a year now. I'm from Nagpur Nagar Ghatkopar East, and lucky for me, a kind person noticed I was having trouble seeing things. It was found that my left eye was blind and the other was damaged. I was brought to this Centre where I am now very comfortable and well cared for. Our enclosure is nice an cool and bright as well. We relax there and now we have a beautiful garden we can actually enter this straight from our enclosure as and when we like. People here are so thoughtful they even thought of this! We have a good staff and the Vets come and check us to see that all is well. We go on rotation to an eye specialist to see if anything can be done to help us with our eye problems. Volunteers come in and bond with us on weekends and life is really good - we really like the food! Now one thing is left to make my life complete. I need a wonderful person to be my very own Guardian Angel. I'm Noro and I used to stay near the Ayappa Temple, Collectors Colony, Chembur. My friend sent me to the IDA India Centre in March this year, when I had met with an accident on the road. I can't see at all and I could always hear the heavy traffic all around. It was scary. 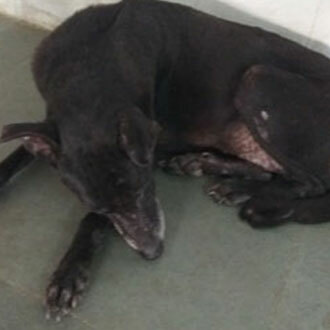 I also have a bad skin infection, but all my health problems are being attended to by the very kind people at Deonar - Vets, Assistants, Staff and Volunteers. I like everything here and best of all, I like the food! But everyone in the blind ward has a Guardian Angel. Now I'd really like one too! Hi from the IDA India Blind Ward. A sweet little girl chose my name - it happens to be Prince. Isn't that just great? 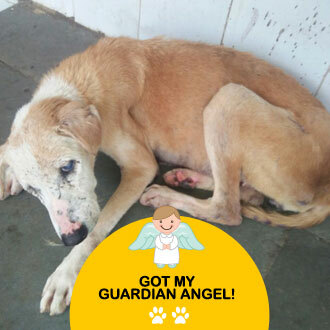 I came in from Gautam Nagar Govandi with a bad wound on my tail. This is a sensitive place to get a wound and it could have been very bad for me, instead I got immediate treatment and a wonderful, safe and comfy place to live in. This is because I just can't see, so my kind Care-takers have kept me here. I've learnt how to be petted as well. I make a sad noise now and then and sure enough, someone always comes to pet my head and talk to me! 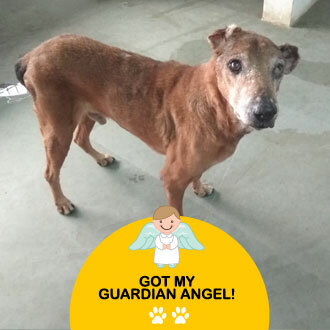 Life is very pleasant at the Deonar Centre, but I really need a Guardian Angel too, so I do hope you will choose me. Hi, my name is Timmy and I'm from the Godrej Hillside Quarters in Vikhroli. All us mongrels there have a lovely person looking out for us. Her name is Sangeeta. She always checks each one of us carefully to see if we need medical aid and also sees to our daily meals. The day she noticed I was bind (this happened slowly - and one day I couldn't see at all), she got me admitted to the IDA India Deonar Centre. Now I relax in an armchair, have a roof over my head, fans if I feel hot, good meals to eat and a lovely garden to explore. All I need now is my very own Guardian Angel. Hi. I'm Duke, from the Shankar Pol Vashi Naka slum area. How did I get my name? Maybe because I look so regal all the time. Just kidding. It was given to me by my kind present caretakers - all the staff at IDA India Deonar Centre where I live now. 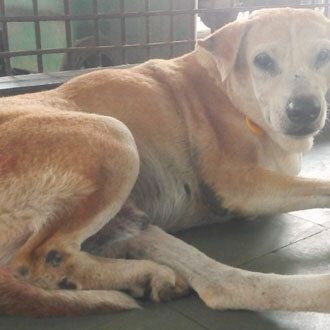 I was brought in from near the railway tracks because I had become quite sick and had nasal discharge. The people living in that slum area are quite fond of animals and one of them used to take care of me. That's how I got my collar. He called IDA when I got sick and when I was brought in, it was found that I couldn't see anything. Now all the blind dogs have their special enclosure but that is not for me, thanks! I am very comfortable lounging about in and outside the Deonar Office. I sit in a dignified manner and don't disturb anyone and I have learned to love this place. Full of kind people and we get such good food! That too, twice a day! I've been here from February 2018. 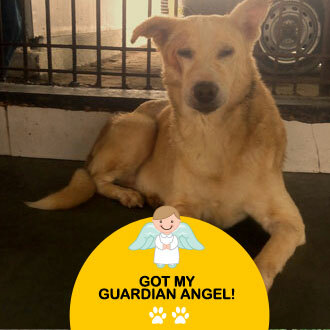 I don't have many needs here, but one thing is badly needed; my very own Guardian Angel. Waiting for you. I'm one of those tough guys and have always lived around tough guys also. I'm from near Tata Nagar Police Chowkey, Govandi West. Other male dogs have always engaged me in fights and I was a willing participant. That is, I was until one day in a fight, my one eye was very badly damaged. A good man who knew about this lovely hospital in Deonar, brought me in - it was August 2017. My eye could not be saved and the other eye as well has now started giving me trouble. I must say, I was brought to the right place! Full of lovely people, great staff and personalised treatment on a daily basis. We have all comforts of home here which I certainly didn't have living on the street! Bed and couch to lounge on, a nice big airy enclosure in the middle of all the action, a big garden attached and the food is great! No more fighting for me. I live the retired life now looked after and cared for in every way. But one thing we all need and that is our very own Guardian Angel. It would be great if you could choose me. I came into Deonar Centre long long ago with my Mom Sara, who was in very bad shape and dying. The wonderful Doctors here brought her back to life and now she is still with me and one of the most beautiful dogs at the Centre. That time I was just a month old, so I was taken into foster care and my foster Mom called me Jojo. I became a very big boy but sadly, I couldn't get adopted. I have stayed in Deonar Centre since I was three months old and now I am seven years going on eight. A few months ago, the Vets noticed that I was bumping into things. Somehow I had lost my sight. Now I am really spoilt and I get to enjoy the big garden and exploring. 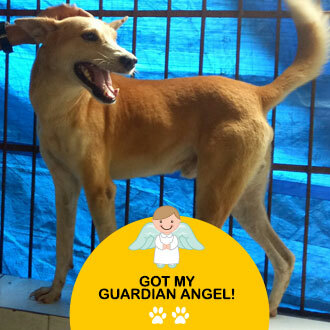 I also get to have my very own Guardian Angel. Waiting for you to choose me. I'm a lovely girl from Wadala and have stayed there for a number of years. One day a kind young woman noticed I couldn't see. It might be the bump I got on my head some time ago as it makes me go around and around and I have problems walking in a straight line. We always have medical attention in the lovely place I stay in now. This is in Deonar and I am a beloved ward of IDA India. Vets check us all the time, and those of us who suffer from blindness are sent to a specialist and given special medicines to help our conditions. Love everything about this place, but most of all I love the garden. I spend the whole day walking on the grass and really enjoy this. People are kind here and I get a lot of visitors and patting on the head, which I like so much. Now what I really want is a special person to be my Guardian Angel. Hope it is you. I'm Benji and I used to stay in Bhandup for many years. One day for some reason I was very much in distress - I suffered from Fits. This was in July 2018. A kind person, Ms Meena Kadam, at once came to my rescue and got me admitted to the very nice IDA India Hospital in Deonar. As I was under treatment, the Vets noticed that I couldn't see. Now I am safe and sound and very well looked after and I am so happy about this. All I need now is you to be my Guardian Angel and that's what am waiting for. 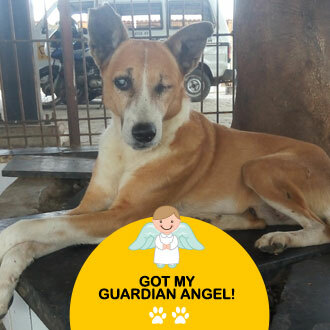 Hi, I'm Champ and I have been in the IDA India Deonar Hospital since October 2018. I used to be one of the Alpha dogs in Nearby Mankurd in the Maharashtra Nagar area, but then I noticed I was having trouble seeing. Fortunately, The IDA staff Van was passing one day and noticed at once that I was blind. From the day I was rescued all my problems have come to an end. Good food, nice comfortable room and lots of visitors and well wishers. What more could a dog ask for? oh yes, I just need one more person in my life; a loving Guardian Angel. I know it's you. I've come all the way from Antop Hill, brought to Deonar Centre in 2016, by Suresh who approached Ms Goodicia. My name is Mattie and I've had a terrible skin problem for so long, I don't remember when it started. 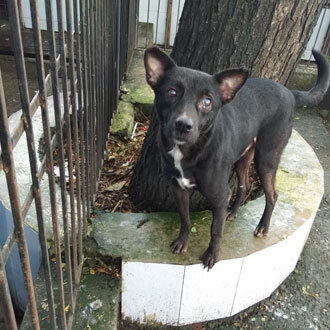 I'm also blind, and so I am really glad that someone brought me to this very nice place where there are many people to take care of me and see to all my needs. I don't like staying in the Blind Dogs Enclosure and I remain outside. The Sun is good for my skin, but my best resting place is in the Gift Shop on the sofa!! Demonstrating how I quietly enter and relax totally. It really is much nicer than sleeping on the hard floor or the pavements outside of here. Now I need a Guardian Angel and I'm sure you have chosen me already. People have described me as an old gentleman and I suppose that is because I am very polite and behave well. My name is Lenny and I am quite old and half blind. One day I had an accident on the road where I live in Siddarth Colony, Chembur. This was in October 2018. Fortunately, Ms Asha was there to help and rescue me. It was she who sent me in to this very good Hospital for treatment after my accident. I'm really nice and comfortable here and the food and care is just great! Hope I get to stay here now as I am really old and the city roads are too full of traffic for me. 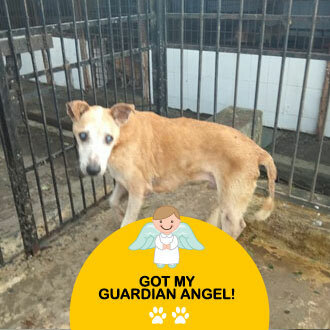 I'm only waiting for one good person, who each of us blind and elderly dogs need and that is a Guardian Angel of my very own. Hope I find that lovely person soon. My name is Jason and I'm from nearby Shivajinagar Mankurd. I used to fight a lot, even though I've become quite old now. 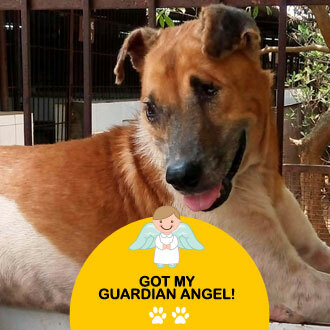 In June 2018, I got a bad wound on my shoulder and a kind young man, Sunish, rescued me and brought me in to IDA India Deonar Hospital for treatment. Slowly, my huge wound healed, but I realised something, I couldn't see very well. There a lots of good people including Vets here and lucky for me, they noticed I was going blind. It was decided that I could stay at this wonderful place. Never seen so much good food in my long life or such kind people. And there is one more very kind person out there, who will soon become my Guardian Angel. Hope it is you. 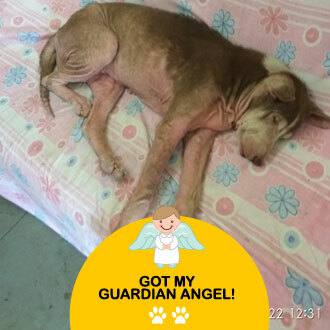 My name is Suki, I'm a member of the IDA India family and I am now residing at a very comfortable place, the Deonar Hospital in a very special ward. I'm quite young and I was such a playful puppy and young dog, but suddenly, my sight started fading. I became quite helpless on the open road and a young man called Faizan noticed this. He somehow managed to get me into this safe and welcoming place. Now I know nothing will happen to me. Living conditions are good and I really like the food and the big garden for all us blind dogs to wander in. Sometimes I have to visit the eye specialist who is treating my condition. All I need now is just one special person to become my Guardian Angel. Could it be you? I'm a very shy young dog and my name is Missy. In September last year, I started having trouble with my eyes. They look normal, but I just can't see. A kind lady Rita brought me all the way from Kalina, Santa Cruz East to this lovely Hospital in Deonar. 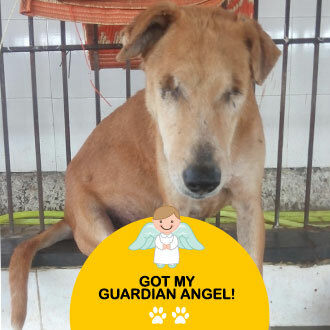 There are many blind dogs here, under treatment and very well looked after. I too like the place very much and I am quite safe, very well fed and free to go out of our enclosure and walk around the big garden made specially for us. 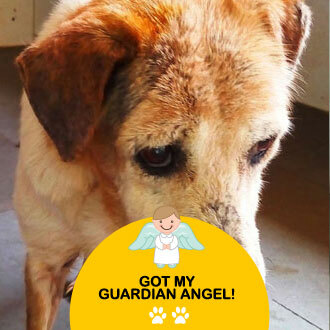 All of need a Guardian Angel and many of my blind doggy friends have already got theirs. Now I am waiting for my own very special person to choose me. Hope I get lucky. Waiting for you.